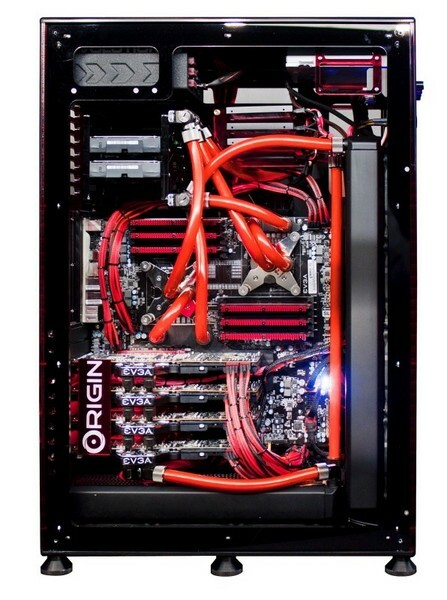 Origin PC Reveals The BIG O Gaming PC, PC and Xbox 360 combined. 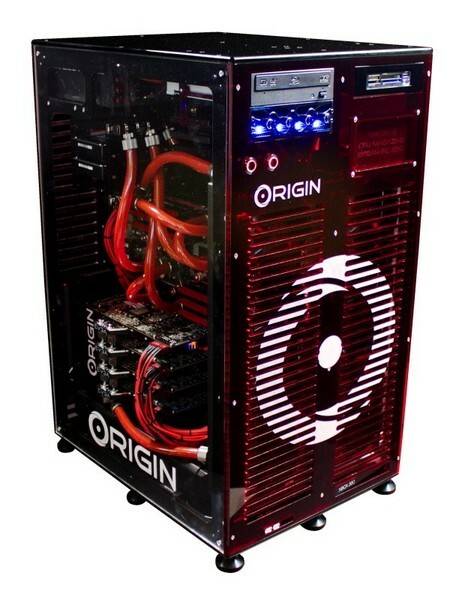 Origin PC have revealed their new creation which takes PC gaming to a new level. The BIG O Gaming PC features outstanding PC performance while combining a Xbox 360 to provide gamers the ultimate machine for gaming. 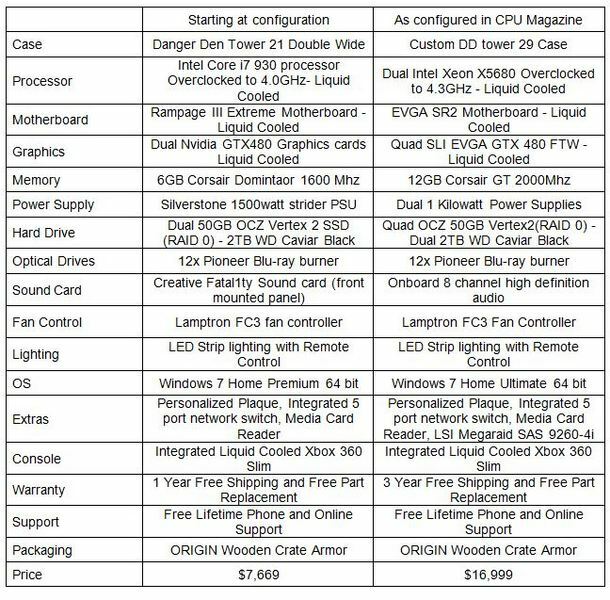 Coming to the specs of the PC itself. Featuring the Badass EVGA SR-2 Motherboard which is the most beastly looking motherboard released till date due to its size and performance and is equipped with two Intel’s Xeon X5680 processors consisting of six cores each and twelve threads, overclocked to a mind blowing 4.3Ghz all on Liquid cooling. If that’s not enough than you also get 24GB of Corsair Dominator DDR3 GT 2000Mhz ram which is more than enough for any PC intensive task. Dont worry for the gaming part, You get Quad 480’s with this Beast and not any 480’s but EVGA’s GTX 480 FTW edition all on liquid cooling. So no matter how many display’s you put up and whatever resolution you play at, this beast will not let you down. The Built in Xbox 360 itself is Liquid cooled which means it will provide much better performance over the fan which cooled the CPU.